Last week when I shared my review of the Oak Meadow Third Grade program, I promised you a more in-depth look at how the program actually looks in use. I love reviews and all the details they provide, but with a complete program like this, you really need to use it for a while to understand the big picture of how it’s going to work. Every family is going to do things just a little bit differently, and I will be the first to admit that I am a notorious “tweaker” when it comes to curriculum. For example, our “week” is actually only 4 days instead of 5, because I reserve Fridays for gallivanting around Europe. For the most part, this week I stayed right with Oak Meadow’s recommendations- but I will let you know where and how I strayed from the course. Each week, the Oak Meadow Third Grade Syllabus gives you a “Lesson” to complete. This one lesson contains the full week’s worth of materials. They don’t tell you what to do and when, but instead you have the flexibility to complete what you want, when you want to. They do recommend following a routine and giving your family a daily rhythm, to include chore time, reading time, school time and play time, as well as a recommended pace for the lesson. Our weeks vary slightly because of the nature of the open ended lesson schedule. On average to complete a week’s lesson we would do Math 4 days a week, some form of Language Arts with writing 4 days a week, with History and Science each twice a week. Health is once a week, and Art and Music (recorder) are done 1-3 times a week depending on what it is and how much Bug begs to bring out the supplies! Before the week starts, I sit down with my planner, read the lesson and roughly schedule it out around our other activities and appointments for the week. Lessons are done in the Main Lesson Book, which is a blank, large pad of white paper. Oak Meadow’s recommends you have one for Math, one for Science and History and one for Language Arts. Personally, I am terrible at keeping track of too many different elements. So, we put all of our work in one book and simply use the next page instead of separating by subject. The only exception is math, which we do on loose leaf paper. These books are heavily illustrated (Bug is drawing pictures for almost every lesson) and are meant to be beautiful keepsakes and reference books when you are finished with them. If you live in a state where you are required to keep a portfolio, this program would be great because the Lesson Book is a perfect ready-made portfolio for your records. After breakfast is cleared off the table and everyone is dressed and ready to go, we all gather around the table for Circle Time. Oak Meadow’s syllabus outlines how to do this- they recommend an opening verse, a poem, an active song, finger play or game, and a closing verse. Circle Time is something we have been doing as a family for a long time in one form or another, so our routine is a little different. We do an opening verse and light a circle time candle. We go over the calendar, date and weather, and then We do the active song/finger play/game first with the little kids. Bug and I choral read a poem together (another tip I picked up from The Heart of Learning) and we practice our memorization (the little’s stay at the table and listen in while they play with play dough). We review things we have learned previously, say a closing verse, and get started. The syllabus includes all the poems, verses, games and ideas for you, so it’s pretty open and go even if you aren’t a “circle time” kind of person. I love that the little verses have different themes for the different seasons, and active games are included to get our blood pumping to start the day. I really like this part of our morning because it signals to all of us that the day has begun and it’s time to focus. I like that the little’s are included and get to feel special, and are learning a little bit too just by hanging out with us. On Monday, we focused on Math, Language Arts and Science. We read a story from the Oak Meadow’s Folktales book, and Bug summarized it verbally, then wrote his summary of the story in his Main Lesson Book. He did some form drawing practice as a border on the page, and we talked more about using proper punctuation in his writing. After that, we moved on to math. We reviewed skip counting by 3’s, and he did some problems on a separate sheet of paper. Monday is science day, so for this lesson, we learned about Gravity. 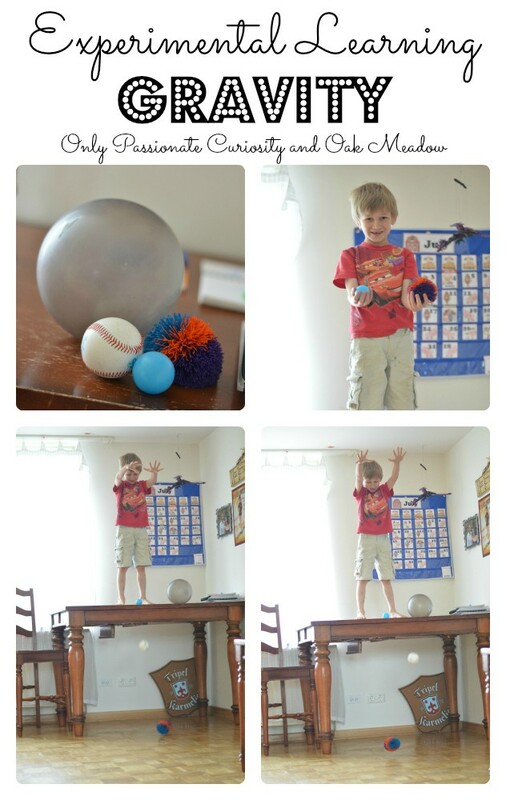 We talked some about what gravity is, and then gathered up balls to test out gravity in action. Each ball was a different weight, so I had Bug estimate which ball would hit the floor first. He had a blast standing on the table (Don’t worry, I was close by and supervising the entire time!) and testing his theories. I used the “photo-finish” setting on my camera so we could both sit down and see which balls were landing first, and how close their timing was. We continued practicing with cursive this week, so Bug tried to use cursive when doing his Main Lesson Book entries. Because today’s science lesson included a creative writing assignment, we did not read and summarize one of the folk tales. For this, Bug first verbally told me a story titled “A Day without Gravity” and then once he got his thoughts together, he added the story to his Main Lesson Book. Also in Language Arts this week, he finished reading “Winnie the Pooh” and started in on Pippi Longstocking. He enjoys reading, so instead of reading these classics together, he’d rather read them independently. I ask that he reads at least one chapter a day in them, although a lot of the time, he reads more than that. I require that one chapter from the classic “school book” before he can read his other books. After Language Arts and Math, I told him the story of Elyssa and the founding of Carthage. He summarized the story and wrote one sentence in his Main Lesson book before illustrating it. 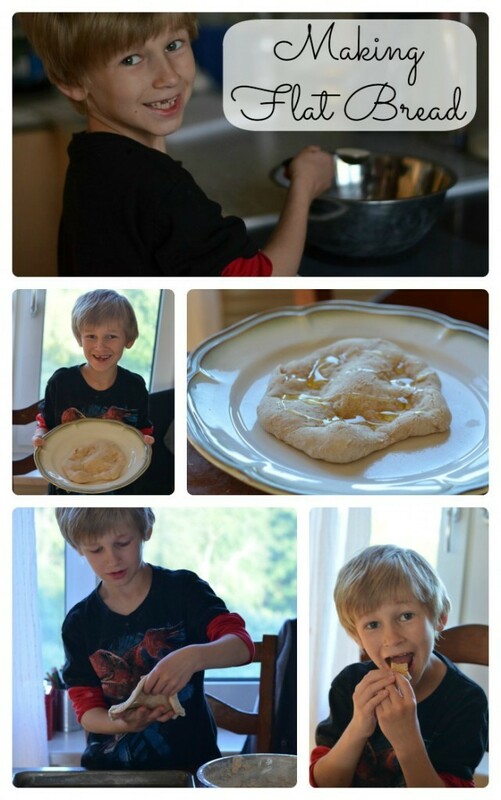 We have been learning about Phoenician Cultures, so we made some flat bread, a traditional Phoenician staple. On Wednesday, we did another Folk Tale summary for language arts, and learned a little bit about the Phoenician alphabet. Bug wrote some of the Phonecian alphabet in his Main Lesson Book and we talked a little bit about gender roles back in ancient times. 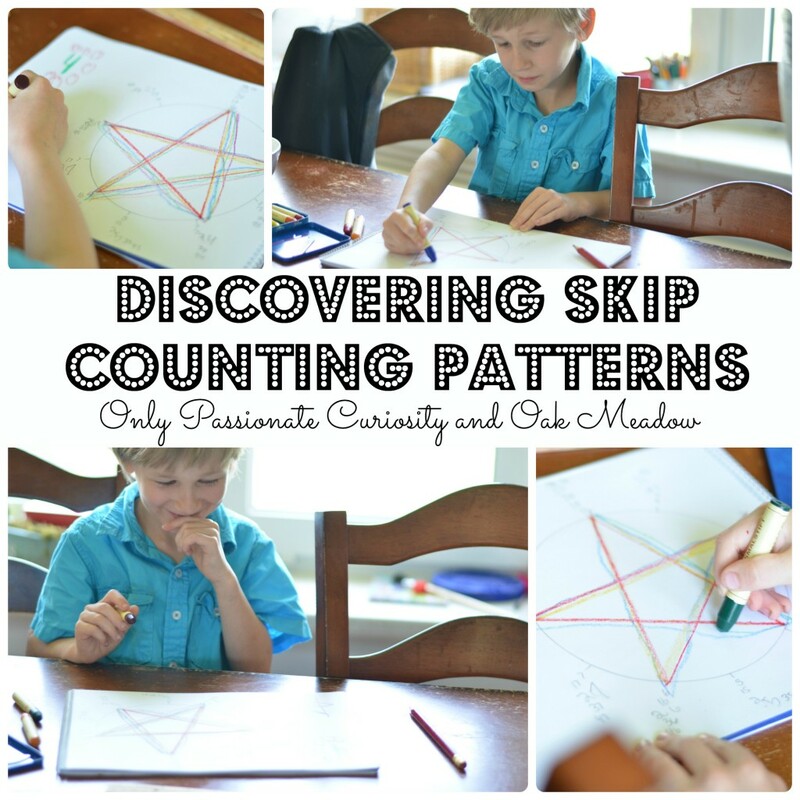 For Math, we explored more skip counting patterns, and practiced 4’s and 6’s. Bug was amazed that they made the same pattern when he drew them on the skip counting circle. After practicing the 4’s and 6’s, he spent a while drawing stars now that he knows how to make them! Again, we did another Folk Tale Summary, and more math problems, and then jumped right into our history lesson for the day. I really enjoyed the story about Elyssa buying Carthage with an Ox Hide, but I wanted to drive home how she did this. So, I took the kids down to the playground and brought with me one piece of printer paper, and some scissors. I told the boys that they could play on the playground, but only what they could buy with their “Ox Hide” (my paper). Speaking of strings, this week Bug also worked on a finger knitting craft I read about in the Home Teacher’s Process Manual. I bought him this fantastic string made of fabric strips, and he is knitting it so he can make a rag rug out of it. I was surprised at how much he enjoys it, and how quickly he learned. 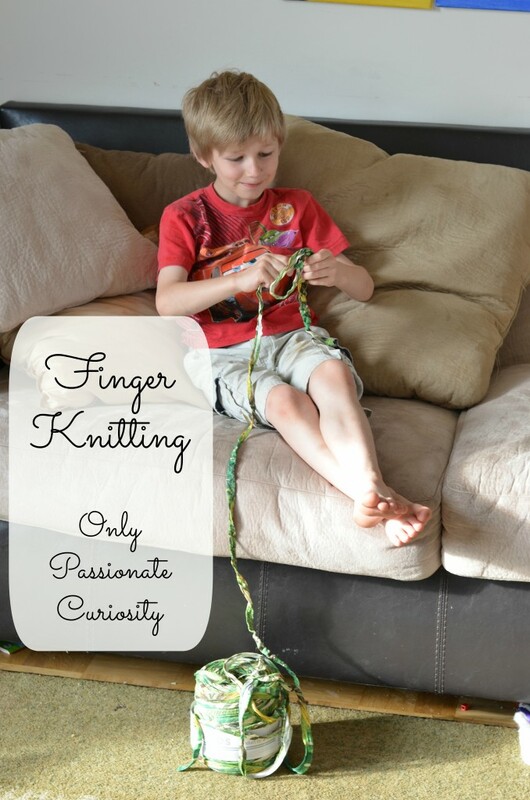 It’s great for his finger strength too, so I am thrilled we tried this project! It started small, but he now has about 15 feet done! Friday is Field Trip Day, so since we finished all our work for the week, we headed off to the local zoo! Germans do things a little different in the states, and we really got to be hands on with the animals. 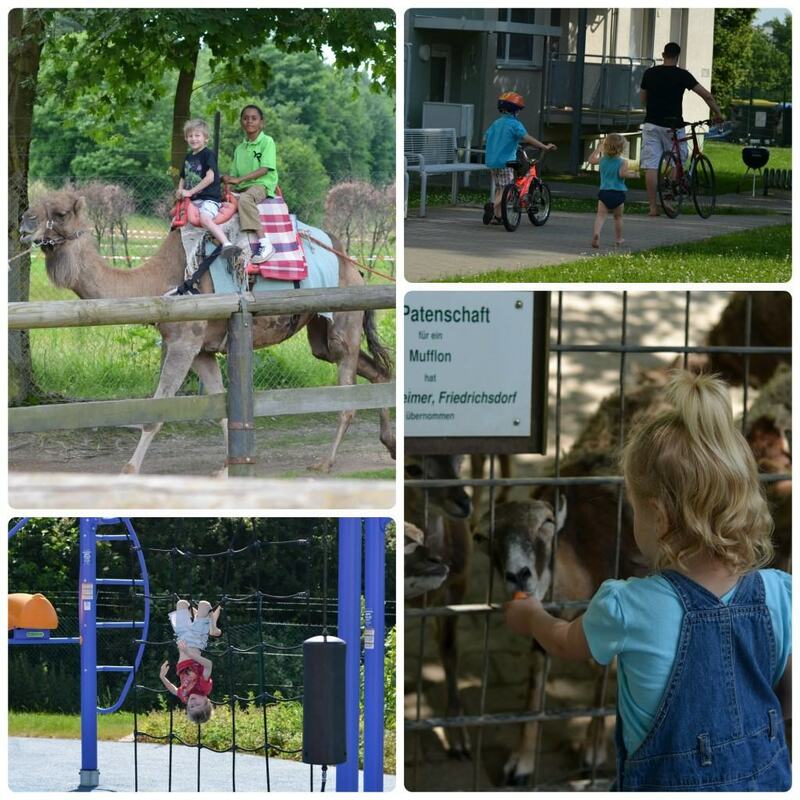 We bought carrots and fed everything from goats to monkeys and elephants, and the kids were able to ride a camel. It was AWESOME. That’s it! Looks fun, right? This program does cover a lot of ground, but it does not take a lot of time. I really like that Oak Meadow is flexible enough to allow me to only have a 4 day school week, but we are still covering ground in an efficient and gentle way. I like knowing that this program meets all the standards and expectations I have set for my child for the third grade, without needing to do anything else. At the same time, I am an eclectic Homeschooler. I like unit studies and to chase rabbit trails. With this program, I am finding that we can do everything “assigned” in just a couple hours a day, which leaves me time to continue to do extra “optional” things, like Latin, experimental learning and unit studies. Part of my goal in trying this program was that I had wanted more time to do those “fun” things, and I wanted to take back some of our time to Homeschool in a more purposeful, deliberate way. This program simplified what we needed to get done so I am not taking all day to teach it. It’s efficient, yet fun, and allows us time for all our interests. I love that this Oak Meadow works with a family rhythm instead of against it. Each day, we do chores together, and I have been deliberate about modeling the skills I want the kids to learn. Together each morning, we clean the table and sweep the floor. Bug has learned to cook a few simple dishes for his siblings, and is now in charge of feeding them lunch most days. Because Bug is being so responsible and helpful, Mr. Man also has wanted to get in on the fun, and is now learning to serve breakfast for himself and his siblings. I have found that this program is easy to use with multiple children. Little Miss is too young for formal learning, but I gave her her own Main Lesson Book and she has been coloring along with Bug as he does his lessons. During reading time, Bug reads to Mr. Man from his classics. Mr. Man has joined us for history and science lessons. I have found that it is easy to include him on those lessons, which leaves me only needing to work on Math and Phonics with him on his own. The Third Grade level is taking me about 2 hours to teach the formal portion of the lesson, with extra time being used for independent reading or additional math practice. I can’t promise you what other levels will take, but I think I could easily teach more than one early grade level with multiple children. If you have many kids and want to try Oak Meadow, I would encourage you to call them and see what they have to say about combining ages and grade placement and making this program work for you. In the older grades, you can purchase subjects individually and mix and match to create a better fit for schooling multiple children. Do you have more questions about Oak Meadow? Ask in the Comments and I will try and find answers for you! Thanks so much for this review. I’m planning on homeschooling my 5 year old and 8 year old next year( they will be in 1 st and 3 red grade). I also have a 2 year old to add to the mix. I am really torn between oak meadow and MBTP. I know you have used both, and I’m wondering which one you think is easier to use with multiple age levels. I was thinking oak meadow would be the best fit, with some unit studies thrown in from MBTP. Have you done anything like that? Also how artistically inclined do you need to be with Oak Meadow. I love art, but am not very confident in my abilities. I can knit a scarf, but can’t knit a sweater. I know you are incredibly busy, thanks for taking the time too write such a nice blog. Hi Katie! There are challenges with all curriculum with combining the kids- especially with the ages you have because their reading/writing ability is going to be so different. I have combined Oak Meadow and MBTP unit studies- and that may be what would work best for you. Oak Meadow 1 is not going to take you a lot of time each day, it’s very gentle. I think if you were going to teach two levels, it would be easiest to do that with Oak Meadow over MBTP. Maybe get the Oak Meadow 1 book and see if you can adjust the science and history up for your oldest with supplementary reading and pick up some language arts units from MBTP for him for extra challenge if you wanted to combine them? Whatever you choose to do, I’d borrow books or buy just one unit at a time to see how you like it when you have it in your hands before paying for full programs. As far as being artsy- I never did get my kids finger kitting well, but I haven’t felt bad about that for a second. We’re very flexible though! I think as long as you are willing to give yourself some grace and not feel like you have to check every box, you’ll be okay! Hi Heather, My 8 year old daughter is currently in public school but I’m thinking of homeschooling her for 3rd grade. She is high energy and has trouble sitting still and focusing on things that she’s not particularly interested in. She’s also strong willed. So my questions are: Does your son have any trouble with distractability and with sitting still? Do you give him breaks in between subjects? How do you handle resistance if that’s ever a problem? If you had only one child to homeschool (my daughter is an only child) how long would it take to complete the lessons for the day? 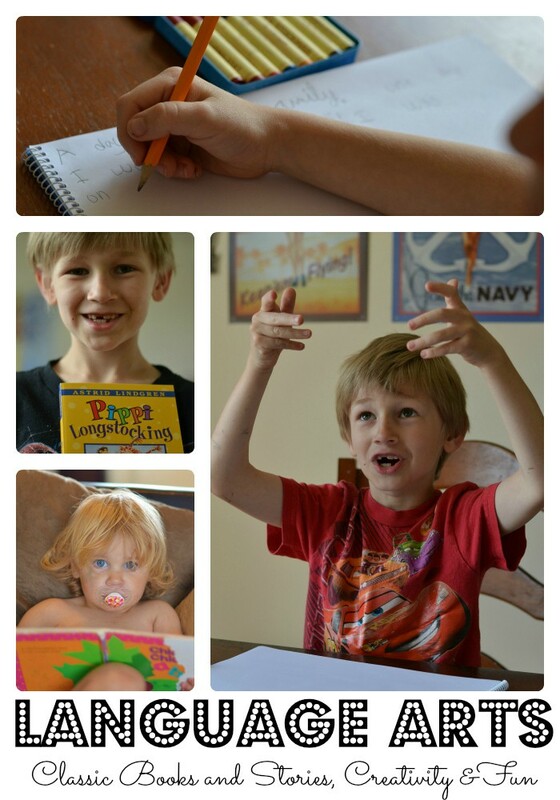 I’m totally new to all of the homeschooling stuff and am very hesitant to take it on but it’s on my radar screen. We do take breaks, often. I tend to let the kids go for a bike ride around our circle (one lap takes about 5 minutes) in between subjects, or more often if needed. They don’t often resist, because they know breaks are coming for them. With only one child, you probably only need two-three hours or so to get through this program. It’s actually on sale this week, so make sure you head over there to check it out! Thank you for the information Heather. I appreciate that! I’m so glad I’m finding this now! 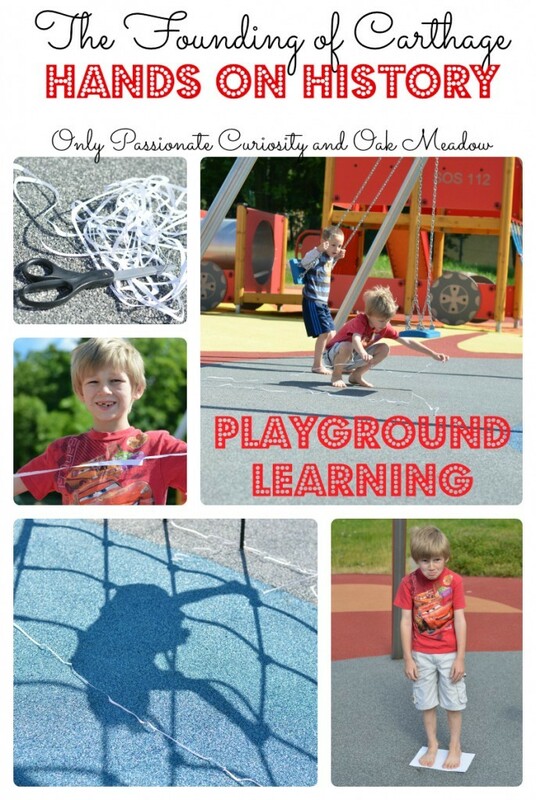 I realize you wrote this years ago, but I’m just on the edge of starting our homeschooling journey and this is SUCH a helpful peek into life with Oak Meadow. Thank you thank you!! Hi — thanks so much for your review and story! We are a long-time homeschooling family, but just discovering Waldorf. And I am totally overwhelmed since it’s midyear and I want to jump on this big ‘ol moving train — right now! I was wondering, how old are your kiddos here? I have a 10 y.o. boy working on 4th grade, plus 5 and 3 y.o. girls. I’m trying to decide whether to purchase 4th grade and Kinder to work through with the girls. My 5 y.o. is VERY into her “journal” where she writes and draws constantly, so I think it’s a shoe-in style of learning for her. Any thoughts on doing their K package? I’ve heard fantastic things about their K program, but I have never seen it myself. When people are discussing Kinder on my favorite message boards, Oak Meadow K is described as the most fun, full of crafts, and gentle. I would love to use it with Little Miss when she is that age. We have First and Third going in our home right now, and I am still very impressed. My kids are 7.5 (and gifted) and 5.5 now. We are not so much a stand at the flag circle time family either. These days, “circle time” happens over breakfast. We do have a wall calender we talk about, we sing some songs, talk about the day, all with our plates in front of us. It’s a good way to bring us together and get us rolling on school. But- you don’t have to do circle time- even if you leave that out of your day, you can still have a great time with Oak Meadow. I know this is been many years since you’ve done this age group! I am homeschooling my Kindergartener and 2nd grader and looking for curriculums for next year. Did you buy the complete 1st grade and 3rd grade packages? Or just one complete grade package and get Language Arts/Math books for the other grade? I like that my boys are close enough in age that I could probably combine subjects and teach them together, with the exception of Math and Language Arts. Thanks! Looks like something our family would enjoy! I really liked their Learning Styles Evaluation. It will help me learn how each of my kids learn. I,love the Earth Cycles article. Very good ideas for seasonal activities with the kids! I’m not naturally an outdoorsy person, so this is great for me as well. 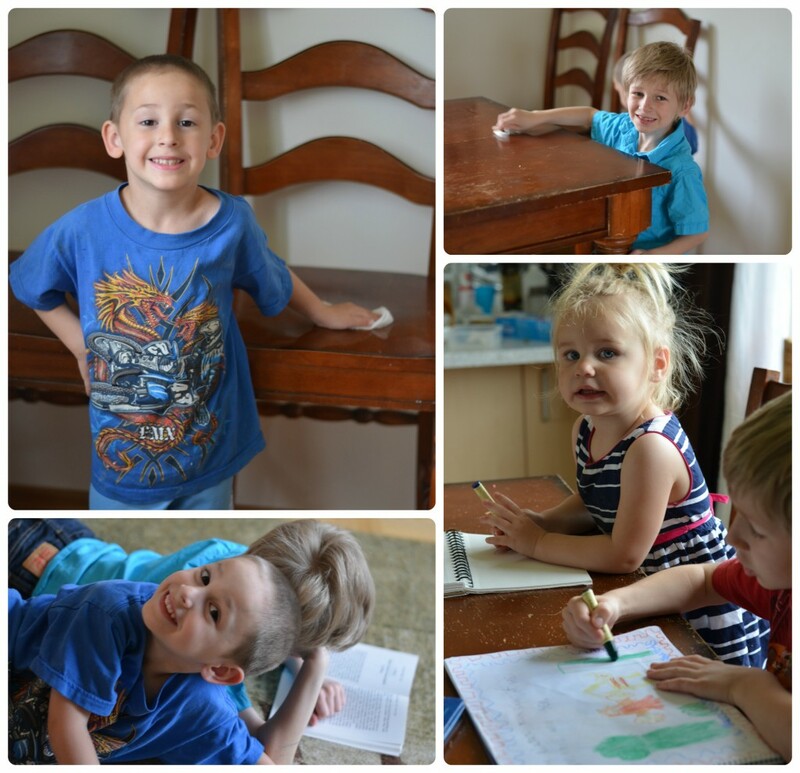 I’m always looking for ideas for all 4 of my children while I embark on this new journey of homeschooling. 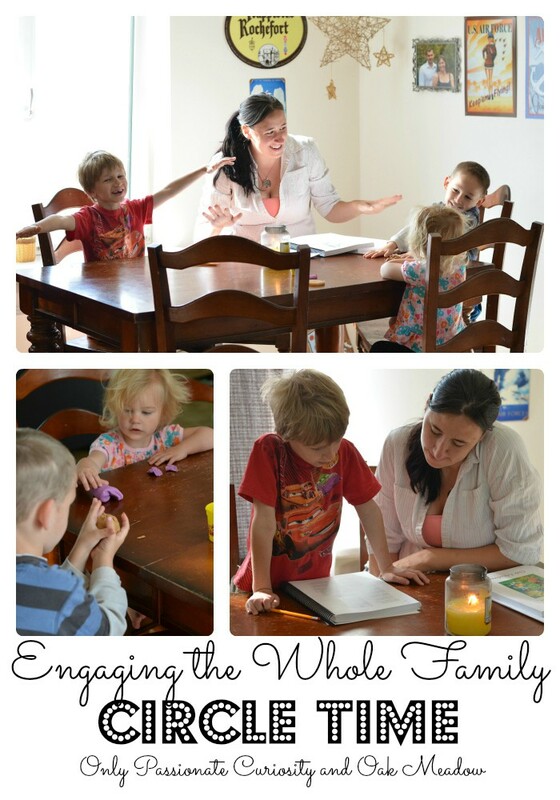 The article of homeschooling multiples is some great encouragement. Loved the Earth Cycles article and ideas. Also enjoyed the article about the Oak Meadow Latin program. I had no idea Latin is part of the curriculum. Would love to use Oak Meadow for my son next year. Thanks for the peek into your school week. I never realized they even had this ‘publication’. The most recent issue about sustainability had some very interesting articles as did the one about arts. I don’t think I’ve heard of Oak Meadow before. From what I see in your review and my brief look at their site, I need to look at them more. Thanks for the review. We have used parts of the first grade package and would like to continue with second grade. And I’d like to add how helpful it is to read replies to questions from families using OM, such as in the ‘Facebook Rewind’ segment of the latest journal. The Book Binding article really struck me. My children enjoy making their own books in our home school, but I didn’t think to extend their enthusiasm by going deeper into the process of bookmaking itself. 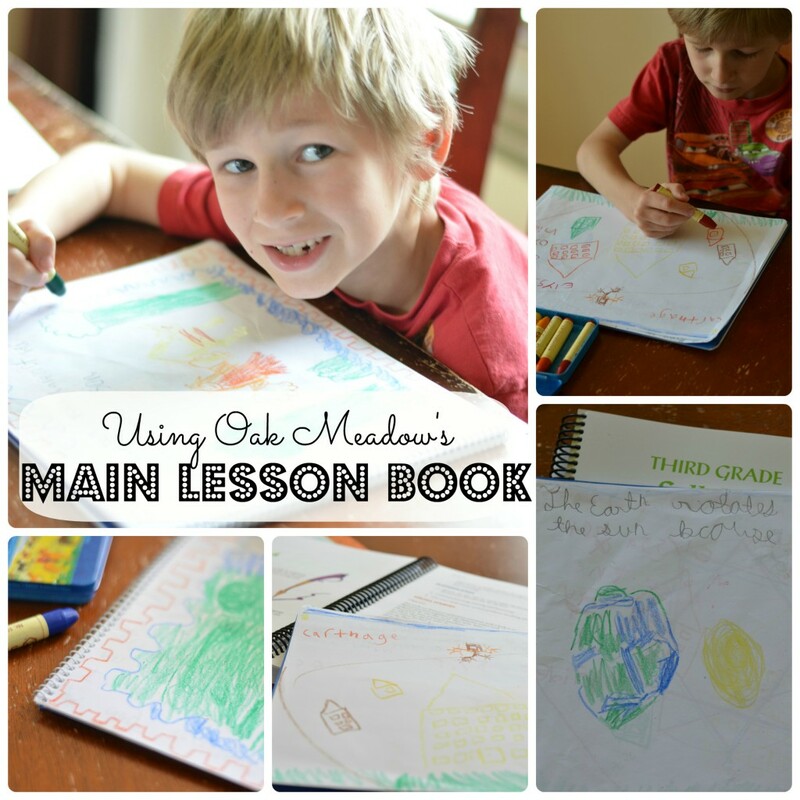 I am new to the world of Oak Meadow but have heard the name through out the 3 years I’ve been homeschooling. We are finally going to give it a try. I love the newsletter especially the article about educating for the future which includes environmental stewardship. I borrowed the Pre-K and Kindergarten curriculums to use with my daughter – she LOVED them so much that now I’m hoping to win this entry so I can get the 1st grade series. Being a family of 5 on one income is a stress financially, but being able to stay home and homeschool my kids is something my husband and I both believe in strongly. I’m SO glad that I came across your blog because now I can use the free resources you have listed here to further expand my HSing repertoire! Thank you!! Excellent review! By the way, I hopped over to OM and loved to see the article about Latin! 🙂 Thanks for the opportunity to win exactly what I have been needing! My favorite article was about Learning styles. I was so off base with what I thought my child needed. I was thankful to correct it early! Thank You for giveaway and thorough review. I love the article about how much variety homeschooling allows, and how important it is to be in nature. I look forward to using Oak Meadow with my 10 year old twins this year. I really enjoyed the article about Authentic Engagement! That string looks amazing!! Where did you find it? I am definitely going to be on the lookout for some for my kids to use! We’re in Germany, so I am not sure if you have it there- It’s Stafil Noodles- http://s3-eu-west-1.amazonaws.com/stafil/stafilcat/noodles%2Bmore+web.pdf 🙂 it is WONDERFUL! Thanks for the great review and pictures my son is about to start the program, so its great to see it in action! I absolutely needed the flower pot composting article. I want compost, but the local class on conforming to ordinances, etc., isn’t until the end of August. This gives us a good start and a way to incorporate it into our lessons, so my kid understands why we are doing it. The article from last fall’s issue “Habits of Mind: Enhancing Your Child’s Education” was one I found very helpful. I love their art activities and some of the things they do with math, such as the multiplication patterns. Thanks for such a detailed description of the week and of your actual experience with OM. I would love to try this out for my fourth grader! i just love the idea of teaching for the love of learning for a lifetime – passionate readers, flexible schedules and true fostering of curiosity. Thanks for all the good info in the post. I really enjoyed the article “Thinking Outside the Box(ed) Curriculum. I really want to create an atmosphere of learning that uses all of the senses and engages the student in learning. Always interesting to see how other families function! Love the Earth Cycles: Seasonal Activities! We live in Burbank, CA and don’t experience a huge change in seasons, so we always figure out ways to mark the shift even if we don’t see a big one. I’d love to win the curriculum. Very well done illustration of a week in OM! I love how your kids are smiling all the while. We just finished OM 3 and excited to start 4 soon. Thanks for the giveaway! Great review! Oak Meadow sounds like a nice family centered curriculum. I’m interested in their upper grade style. I really like the art activities. I really liked the Seasonal Activities for All Ages on Earth Cycles. I think my girls would enjoy this & it may even force us to go out and just sit in weather conditions we wouldn’t normally go out in. I like all th art activities, and the book binding looks like an awesome craft to try! So glad I found your website. Such wonderful information. Makes me feel more confident in our opinion of Oak Meadow and desire to try it out. I really like the Family Lead series. I love this review. we also did oak meadow 3rd grade this past year and had one in K (also using the 3rd grade curriculum but tweaked for my Kindergardener) and a 2 year old! it was quite an exciting year. I just wish my 2 year old would sit and color with his sisters. He just wants to move, move, move! They would do art all day and he wants nothing to do with it. other than a few bumps it was a fun year! I’m really drawn to Oak Meadow. I loved seeing a whole weeks worth of using it! Wow! I truly appreciate the details shared in this post! I have wondered if this was a product suited to our family, as I’ve heard so much about it, and it seems to be great! I really enjoyed reading “Earth Cycles, Seasonal Activities for all ages” in the Spring 2013 edition! Every season as the new newsletters appear on the Oak Meadow website I try to read through all of the articles. So much to learn and share! We are patiently waiting for our Oak Meadow package! It was so so good to hear about your experience! Thank you so much for this detailed look at how Oak Meadow works! thank you for sharing how oak meadow works in your life! we are seriously considering it for our family and have been wanting to see how it plays out for another family. this was a beautiful example for me, so thank you! This curriculum sounds like it would be a great fit for the size and pace of our family! We’ll be looking into this more! Love all the opportunities for exploration! This sound like just the thing for our family! I’m trying to get us outside more. I really enjoyed the ideas presented in this article, especially the idea about measuring little plants with fingers. I am so glad I found your blog! Equally excited about the giveaway! Oak Meadow is the curriculum I chose to use fir Fall! Thanks for the review! Love that string, what brand is it, do you know? Wow! Some great ideas! The flower pot compost project looks great for my kids! Terrific description of how you make the curriculum work. I am looking at it for my oldest when he goes into sixth grade. I hoping it will be a good fit! I was looking at the samples and was wondering how the math works exactly. I would be curious to know comfortable you are with the way the math works. LOVE this post and all the gorgeous pictures. You have a really amazing gift for photography and writing. At this level, the majority of the teaching is covered in the three “Trimester Overview” sections. So for this first trimester, it teaches ME how to teach regrouping the Oak Meadow’s way (with a story) and has the rhymes and ideas for teaching multiplication with skip counting. In each lesson, it only says things like “learn skip counting with 6, and do 20 problems with 2 digit addition and subtraction.” I’m then supposed to come up with my own problems, write them or dictate them to Bug, and grade them. I do like that it’s easy to adapt to a higher level (for example, If I am supposed to write a 2 digit addition question, I can write a 4 digit). We did that a lot. For Bug, he’s ahead of where OM math has him now, so we have been using it for review as written along side with another math program. I don’t mind writing the problems out for him and coming up with them myself at this age…. mostly because (confession time! LOL) when we are using our other Math program it’s so easy for me to hand him the book and just walk away which I think was a bad habit, and led to a lot of struggles because I am not being attentive enough. When I use this program’s math as written, it forces me to see what I am doing, and watch him closely because I have to solve the problem myself to grade it. I would write one question, and sit next to him while he solves it (to save the step of grading later) and go on like that. I think if there was ONE thing I would change, I would want the problems pre-written for me just to make it easier on me as a teacher. I see WHY OM does it this way, and it’s right in line with their philosophy, and it is a good thing. It’s not going to work for everyone, but it doesn’t bother me much for this level. In older levels, you can purchase the Math separately, which makes it easier to either change the level, or use a different program if you do want it to be more written out for you. *p.s. * I’m glad you like the pictures, it keeps getting harder and harder to get a good shot because Bug is such a ham and has really started wanting to pose and be silly for pictures instead of letting me sneak the shot, He’s a goof!